The thread of differences in Smartphone and Tablet getting thinner and thinner as technology advances. 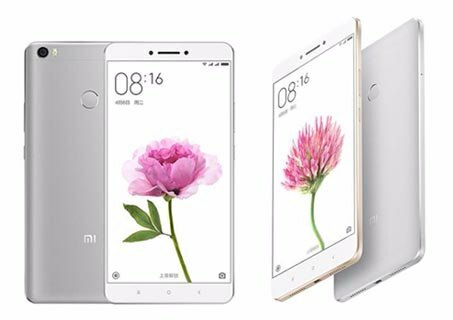 For the big smartphone screen lovers Xiaomi is currently offering a Large 6.44 inches phone with Android v6.0 Marshmallow, Snapdragon 1.8 GHz Hexa-core processor, 16 MP Rear | 5 MP front camera, 32 GB Internal with support of 128 GB SD card, 3 GB RAM and 4850 mAh battery. Xiaomi engineers tried to make large sized display phone with maintaining the aesthetic design, phone doesn't look so huge as they kept bezels size minimum. The metallic built and design of smartphone looks premium in hands as well as when take it off in a table. The sound and power buttons are placed on the right , SIM tray on the left, Micro-USB port + speaker grille is placed at the bottom, while 3.5 mm headphones socket and infrared emitter are on the top. Xiaomi is not only offering big but also facilitate a Full HD immersive display with 72% NTSC color gamut. This is ideal for the watching full length movies, browsing and reading e-books. The depiction of colourful image from in display is vibrant and you can change the setting by enabling the different modes like Sunlight Display, Night Display, Reading mode and Color temperature adjustment. To adding the preventive measures it is also protected by the Corning® Gorilla® Glass 3. On the paper although it has 16 MP primary camera that can also shoot the 4K and slow-mo videos, but the image quality taken from the camera is not as much impressive. You can definitely get some good photos in daylight but overall quality of the camera is mediocre. However the 5 MP camera for selfie is pretty decent to capture the selfies for your social media update. on the rating measure we will give its camera 7 out of 10. The performance is supported by the Snapdragon 650 Octa-core processor. This CPU is sufficient for performing most of the tasks without any hiccups. The combination of Snapdragon 650, 3 GB RAM and efficient MIUI 8 based on Android Marshmallow makes it more user-friendly even performing in multi-tasking. there is nothing more to say against the performance as it is quite enough for the money you are spending in this smartphone. The call reception strength and the voice clarity is good from the handset however the mono speaker doesn't seem loud for the media purpose like mp3 and videos. Fingerprint sensor is placed rear-side of the phone with good recognition power. You need not to worry much about the frequent charging as there is 4850 mAh battery inside the phone with more than a day backup, This is huge battery so company is also providing a 10W power adapter to speed up the charging process. Bright 6.4 inches Full HD Display. A Huge 4850 mAh long lasting battery. A slot for expending the memory up to 128 GB. Smartphone also support VoLTE and FM radio. NFC is not present in the device. Speaker quality is not Loud enough. Can be bulky for some people with 203 grams. 16 MP rear camera is not up to the mark (Just average). It has average camera quality apart from this feature everything is quite perfect specially for the people planning for large display (6.0+ Inches) Smartphone under the affordable budget. This can be best device for watching your favourite shows or reading pdf and e-books. the gaming and multitasking is also fine but not the best as it has mid range CPU. The battery will not ditch very soon as it also has 4850 mAh capacity, which can easily stand for 24-36 hours. However you can also choose alternate device like Xiaomi Mi 5 and Galaxy J7 Prime.